Vignesh Pharma is manufacture and market world class pharmaceutical formulations and thereby satisfy the needs and expectation of the customers. This requires involved, dedicated efforts at all levels, resulting in building quality at each and every level. 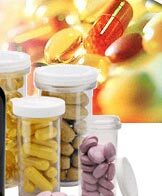 Vignesh Pharma has offers an extensive product line of over 100 different formulae in various forms. Tablet, caplet, capsules. Formulae of various categories are readily available such as internal analgesics, cough and cold, allergy/sinus, gastrointestinal, and laxative etc,. These products are commercially marketed under store brand and well-known national brand names. At Vignesh, we proudly meet or exceed all of our customers quality standards. Vignesh is focused on product quality and product improvement.